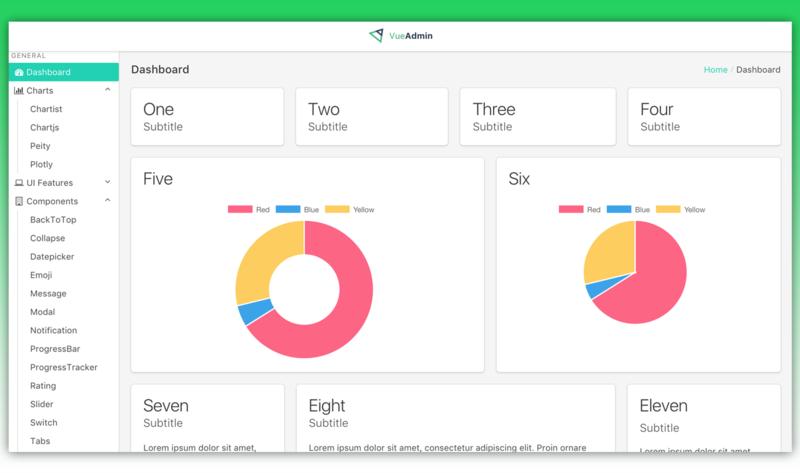 The panel contains pages, build with the help *.vue components, with charts, UI elements, Tables, and components such as datepicker, messages, notifications and more. Swapping between pages is done with vue-router. It is an open source project on GitHub for you to fork and use on your own. It is also available with Vue 1.0, available at the vue-v1 branch. Check the demo admin panel.